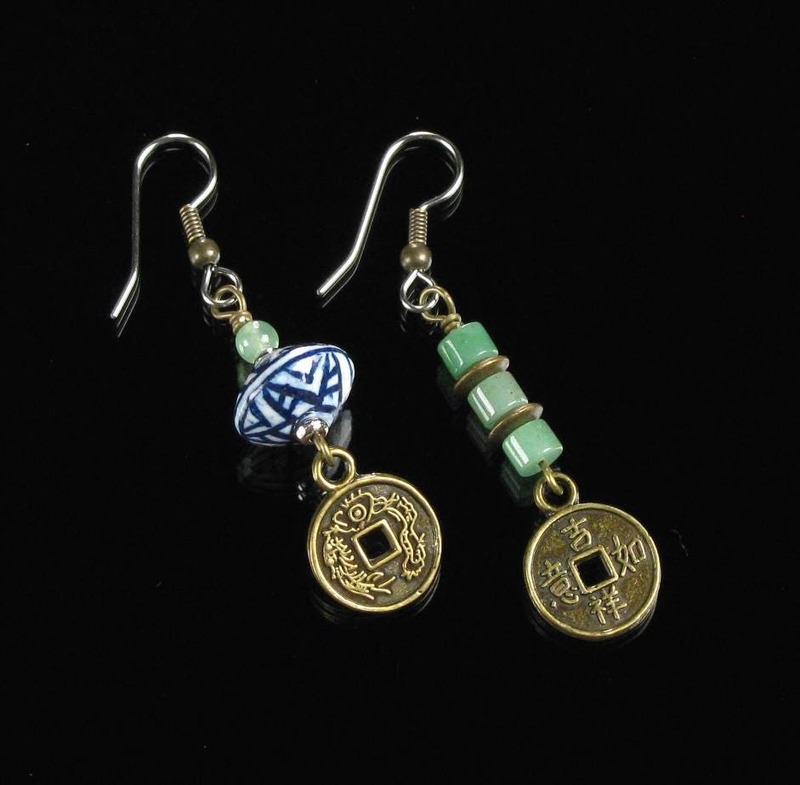 Good luck symbol bronze Chinese coins (the two sides of the coin are displayed in this earring set) are accented with green jade, antiqued bronze discs and Porcelain Chinese pottery saucer beads in this unique, mismatched earring duo. 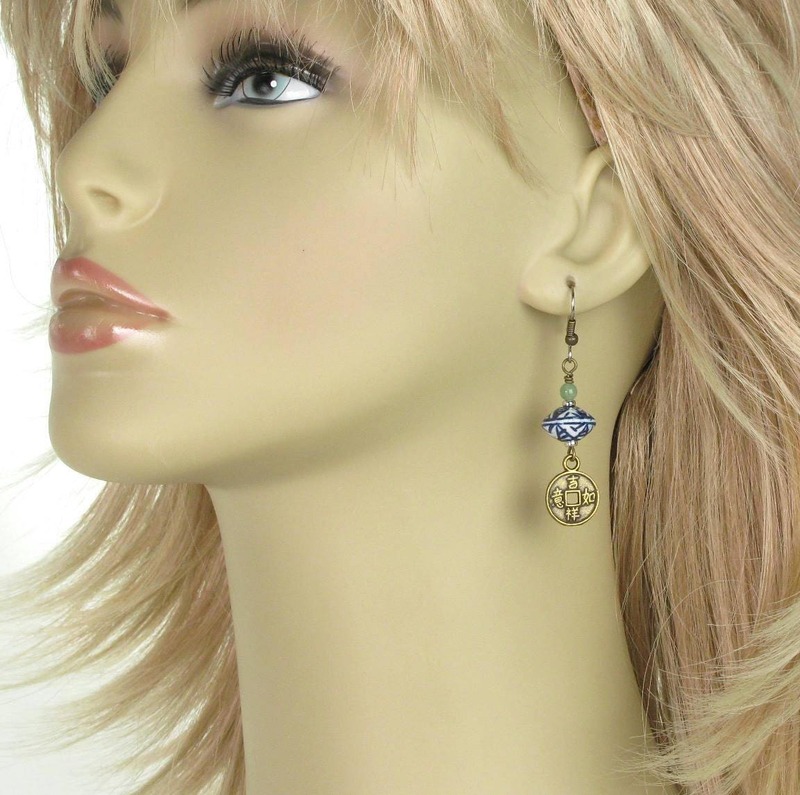 The two earring dangles are nearly identical length and are hung from hypoallergenic surgical steel silver ear wires featuring an antiqued brass ball and coil. 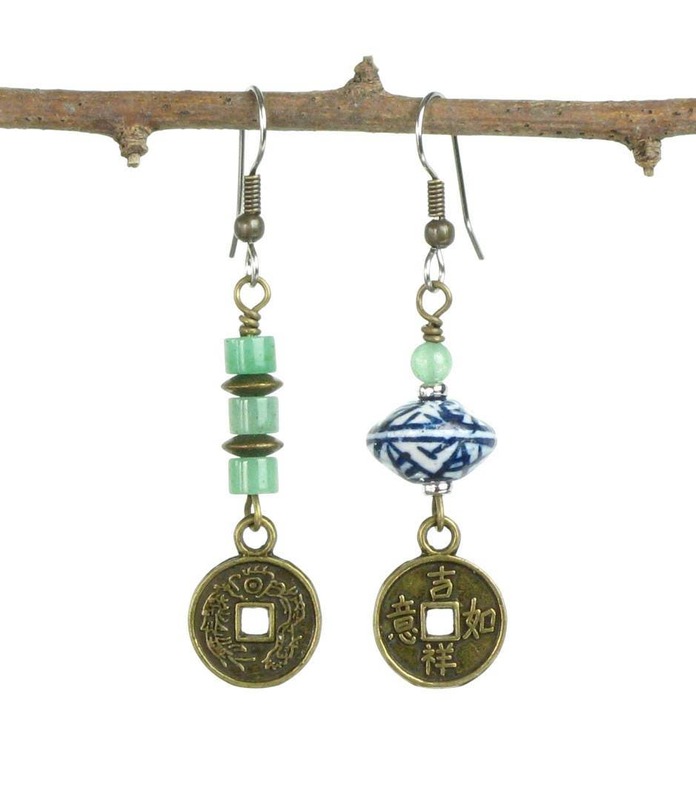 A versatile earring duo to add some Asian flair and some good luck vibes to your casual wardrobe! 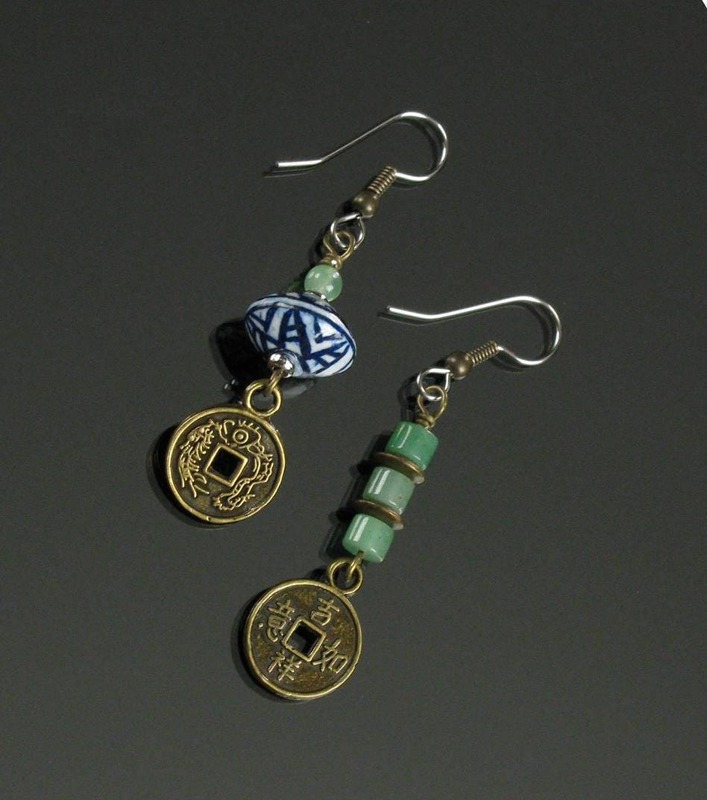 Individual item descriptions contain the dimensions of each jewelry piece offered by Mindful Matters. Each purchase is tastefully packaged and suitable for hassle-free gift giving. Mindful Matters Jewelry wants you to be 100% satisfied with your purchase. If there is any problem with the quality of any purchased item, please contact the shop immediately and we will discuss a quick resolution.